Norman R. Terry, age 88, of Siler Road in Stanford, Kentucky, passed away Wednesday, November 7, 2018 at his residence. Born Saturday, June 7, 1930 in River Rouge, Michigan, he was the son of the late Hugh Reed & Della Hogue Terry. Norman was the widower of the late Deloris J. Sims Terry, whom he married September 9, 1989 and preceded him in death December 25, 2016. 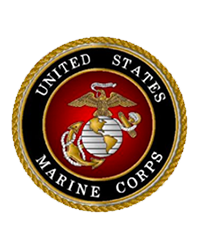 Norman was a United States Marine Corps veteran and worked, for many years, in Security at General Motors. 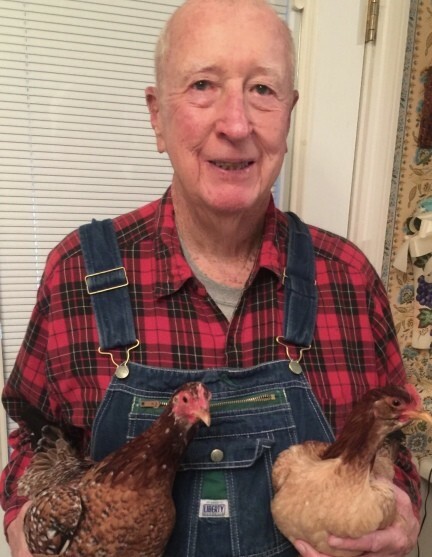 He was well-known, all over the country, for his raising of chickens, and was named “Cocker of the Year” by the UGBA. Norman was a member of Locust Grove Baptist Church, was a Shriner, member of the Scottish Rite, a member of the West Newton Masonic Lodge in Indiana, a member of the American Legion Post, Past Commander of the Ernie Pyle Post #1120 VFW Post in Indiana, Past Patron of the Bridgeport Eastern Star in Indiana, and was a Kentucky Colonel. Norman also enjoyed bowling in his spare time. Norman leaves behind two sons, Michael Lee Terry (Gail Morgan) of Stanford, and William Sizemore of Indianapolis, Indiana; one daughter, Wilma Lee Moore (Alan Teague) of Martinsville, Indiana; nine grandchildren; several great-grandchildren; one brother, Glenn Terry of Martinsville; and three sisters, Susan Whalen of Davison, Michigan, Mary Lou Williams of Stanford, and Thelma Sims of Hustonville, Kentucky. In addition to his wife and parents, Norman was preceded in death by one son, Norman Reed Terry, Jr.; one brother, Don Terry; and one sister, Dencie Riggs. Cremation Rites have been honored. A Public Memorial Service, with Masonic Rites, will be held 2:00PM Saturday, November 10, 2018 at Fox & Friend Funeral Home with Bro. Jeremy Gilliam officiating the service. A Committal Service, with Full Military Honors performed by the Caswell-Saufley Post #18 of the American Legion, will follow in Buffalo Springs Cemetery. Fox & Friend Funeral Home, Stanford, is entrusted with Norman’s arrangements. Guest Book at www.friendfuneralhomes.com.